The Year 2012 News, speculation, and prophecy about the year 2012 and related topics. THE YEAR 2012 is a stream of information collected from various sources, mixed with explanation, commentary, and opinion. Much of this material is often ignored by the mass media for its "far out" and "conspiratorial" nature, but that does not mean that it is not important. "While others are saying that any number of ‘bad’ things will happen, I believe that something good will come out of this." As the so-called "Mayan doomsday" approaches, the Mayans of Guatemala are speaking out against what some are calling a government- and tour business-led effort to profit off misinterpretations of their traditions. Share your views on this popular topic! December 21, 2012 is an important Mayan calendar date. Some people think on that day we will be ushering in a new age of global consciousness. However, others believe it could mean the end of the world as we know it. She says that people are finding there aren't enough hours in the day because of something called the "Photon Energy" which peaks in 2012. "No, it's not the end of the world, but it's going to feel like it to many." Who is she? Her name is Margaret McElroy, or Margaret M as she is known. An Australian now living in Seattle with her husband Alan, Margaret says "The Photon Energy is causing so many problems for people all around the world. We think there are 24 hours in the day, but really there are only about 6 - 8. This is not a new theory, but there is a new book out that backs the premise with all kinds of sleep-killing stuff like that we're a million years overdue for a good mass extinction. And that the Earth's magnetic field is developing a crack. And that the Yellowstone supervolcano is about to catapult those tiny 10 percent of us who survive it into nuclear winter. BOULDER, CO, United States (UPI) -- Government scientists say the next sunspot cycle will be 30-percent to 50-percent stronger than the last one, and begin as much as a year late. Scientists from the National Center for Atmospheric Research (NCAR) predict the next upcoming storm cycle to begin in late 2007 or early 2008, and reach its peak in 2012. 2012 – as the piano-sized ‘New Horizons’ probe of NASA nears Pluto, will extraterrestrial UFOs from Pluto encounter it? Something spectacular may happen in 2012. New Horizons, a NASA space craft with a probe will travel at 26,700mph over four billion miles to Pluto. It will be in close proximity of Pluto by 2012. New Horizons probe will travel faster than any previous spacecraft on its journey to the planet farthest from the Sun, its moon Charon and the mysterious, icy Kuiper Belt. Relatively little is known about the ninth planet Pluto. It is an unknown zone of the solar system. A spectacular rescue of human civilization in 2012 by the advanced extraterrestrial type IV alien civilization – can it really happen? According to many researchers earth is destined to a severe test of survivability between now and 2012. Many ancient legends call for something that will happen in 2012 that will change human civilization forever. We all understand the effects six billion people are having on our planet and have come to the inescapable conclusion that population growth must be controlled if the planet and life on it are to survive. A large section of the planet described by the Tropic of Cancer to the south, the Arctic Circle to the north, the Bering Straight to the west, and the Newfoundland Basin to the east will be the exclusive domain of the Bilderberg. That area includes most of North America and its surrounding oceans. It will be populated by the elite and approximately 10 million people engaged in running the United States government, maintaining the needed infrastructure and organic food supply, guarding the boarders, removing man-made structures, and restoring the land. Otherwise, it will be off limits to the rest of mankind. Simultaneous Terrestrial and Solar polar reversal in 2012 accompanied by recent tectonic movement as well as harmonic tremor in the area shows high probability of a mega volcano in 2012 in that area. Interest in the year 2012 will far exceed the speculation surrounding the year 2000. As oil reserves dwindle, the balance of power in world politics will shift. Polar wobble and astronomically-based earth changes will create speculation about the planet's survivability, and electromagnetic weapons will change the way war is waged. The Galactic Alignment is a rare astronomical event that brings the solstice sun into alignment with the center of the Milky Way galaxy every 12,960 years. Building on the discoveries of his book Maya Cosmogenesis 2012, Jenkins demonstrates that the end-date of 2012 does not signal the end of time but rather the beginning of a new stage in the development of human consciousness. The year is 2012. America's global war on terror is at a fateful crossroads. The rise of Laskar-e-Muhammad, the most audacious and sophisticated terrorist network the world has ever seen, imperils America's national survival. As President Middlefield and top deputy Jim Constance rally America to confront the threat, worldwide criticism hampers their efforts, many detractors arguing for a policy of appeasement. Dr. Jane Crandall Offman, high profile professor and social commentator, joins Islam's intellectual elite in undermining the war on terror. Denounced in the court of world opinion and outmaneuvered by Laskar-e-Muhammad on all fronts, America finds herself abandoned and isolated. With Constance as his only trusted adviser, President Middlefield desperately tries to prevent a final act of terror that will result in the unthinkable: The ultimate doom of the United States and her collapse as a civilization. A racist, messianic, pseudohistorical, eschatologist theory, revolving around the Epsilon Team. According to this theory, which has a small, underground cult following among conspiracy theorists in Greece (most of which know absolutely nothing of their ancestors' civilization and philosophy and are largely of a very low educational background), the Epsilon Team will come in the year 2011 or 2012 AD to liberate Greece and the whole planet from the Jewish occupation. This theory has many elements taken directly from christianity's worst, mixed with obscuria from the Greek philosophy. For the earth to be wiped out now, and not in 2012 would be illogical. Think about this- the Mayan calendar ends at 2012...does that mean the Maya believed it to be the 'end of time'? Not necessarily. Assume a largeasteroid(s) impacts the planet now. Wouldn't that mean the end of time ? If the earth were to be destroyed now, it would mean no one would give care what day of the week it is, or what time it is. Who would care about time when water, eating and shelter become the most important problems to solve ? People would just care about surviving. Both cash and the stock market would quickly become a faded memory. If government collapses, so will the value of money. We will be resorting to the barter system. The end of time may be something that happens as the result of a time experiment as some have proposed. Or, perhaps an asteroid doesn't really hit until 2012. Some remote viewers have backed up the 2012 theory, because they see nothing but desolation after that time. China - Will US Attack From Space? An official with the US Missile Defense Agency this year stressed efforts made on developing a space-based test platform, which includes at least three satellites at its initial stage, while a Space-Based Laser (SBL) in the missile defense program will be put into test by 2012. The application of SBL will go far beyond the needs of a missile defense system, experts pointed out. According to the SBL project director, the extra functions of SBL include "defending/attacking anti-space-based fights (i.e., anti-satellite missions); "preventing enemy use of space (such as destroying enemy launching); preventing information input/output of satellites (likely to use low-energy beams to jam satellites rather than directly destroying them); "defending/attacking anti-space fights" and "striking high-altitude planes, cruise missiles and unmanned aircraft". Although the efficiency of SBL is uncertain, the adverse current of space weaponization has appeared. According to the Bible Code the world will end due to a collision with a meteor or comet. According to spiritualist writer Bob Frissell, John Major Jenkins and others, humankind will ascend into a higher state of collective consciousness. December 21 - End of the great cycle of the Maya calendar's Long Count, and thus the alleged end of our world (the end of the cycle is dated December 23 by some calculations). Also interpreted as a change in human consciousness: the end of the world as we know it but the start of a new one. for the truth we speak sends messages clear! adds to masterplan complete: a sea of tears. as the magicians wave screaming "hocus pocus"! as the "Novus Ordo" churns with conspiracy. and you fail to recognize what the poet has said. ignorant children of intelligence mock. so open up your mind and begin to take flight. unless you are happy being mindless cattle. So get with the plan - Not of the "master"
and help us usher these cattle from their pasture. and then we can eleveate a world that's gone berserk. There are major changes, mutations that haven't occurred, according to geneticists, since the time we supposedly came out of the water. Several years ago in Mexico City there was a convention of geneticists from around the world, and the main topic was the DNA change. We are making an evolutionary change, yet we don't know what we are changing into. The angels that are being seen are signs that we are shifting. As I understand it, WE HAVE UNTIL ABOUT 2012 TO COMPLETE THIS PROCESS. Analysis of the written precognition of psychics such as Edgar Cayce and Michel de Notredame (1503-1566) reveals that "terrible new weapons," with characteristics similar to EM environmental weapons, may have caused the cataclysmic earth changes. The Mayan calendar, which divides time into galactic-based long cycles or tuns of 26,000 years, predicts that the galactic tun-cycle ending on December 22, 2012, may be accompanied by catastrophic earth changes, as well as initiation of cosmic consciousness among humankind. We are in a reality that is quickly being altered into something quite different from what we are used to. Another change is that the yearly time-line is also accelerating. Many persons who study time have noticed that recently, years have been reduced seemingly to months. In this regard, many psychics who have encountered the year 2012 AD have noticed that it contains a block around the magical date of December 21, 2012. This date is the one picked by the Mayan calendar as the end of time on this planet as we now know it! These coincidences point to the fact that this period is one in which our planet is moving towards a new reality. What's REALLY going on..? A timeline. We face the immediate and perpetual decline in our standard of living if we don't steal every oil, gas, and uranium deposit on earth before 2012. This End of Age is the completion of a long evolutionary cycle when souls are created and sent out by the Creator into created worlds of matter to undertake a long cycle of evolution. At the end of a certain period, all of these evolutionary parts of the Creator are then drawn back to His bosom for His, and their assimilation of all their learning experiences. After this, they will then be sent out once again to embark on yet another round of evolution. By this the Creator is able to expand and add further complexity and beauty to His created Worlds of Matter. It is at this time that all beings must finalize and resolve all of their learning experiences in preparation for stepping up to a higher plane on the new round of evolution. This Universal End of Age also coincides with the conclusion of Earth's own 2000 year-long Piscean Age, which commenced with the Birth of Christ and finishes by the year 2012 at the start of the new "Aquarian Age". All of the Star/Solar systems within our Milky-Way Galaxy will have completed a Grand Orbit around the Great Central Sun at the center of our Galaxy, a 26,000-year Cycle of the Zodiac, or one "Zodiacal Year". The Twelve Constellations of the Zodiac will have completed a full cycle of movement across the Heavens. The Hopi prophecy is an oral tradition of stories that Hopis say predicted the coming of the white man to America, both world wars and the creation of nuclear weapons. And it predicts that time, as humans know it, will end when humanity emerges into the "fifth world." United States military coup of 2012? In 1992, a then little-known deputy staff judge advocate lieutenant-colonel by the name of Charles J Dunlap Jr published an article titled "The Origins of the American Military Coup of 2012" in the US Army War College's military journal Parameters. In a plot that was a cross between Arthur Koestler's Darkness at Noon and the movie The Siege , he depicted an America in which a military coup had taken place in the year 2012, and General Thomas E T Brutus, commander-in-chief of the Unified Armed Forces of the United States, occupies the White House as permanent military plenipotentiary. Killing Missiles From Space - Can USAF Do It With Lasers? An experimental satellite loaded with a megawatt laser could be launched into orbit some time between 2010 and 2012. Its mission would be to zap an intercontinental ballistic missile, fired from a location on Earth, hundreds of miles away. 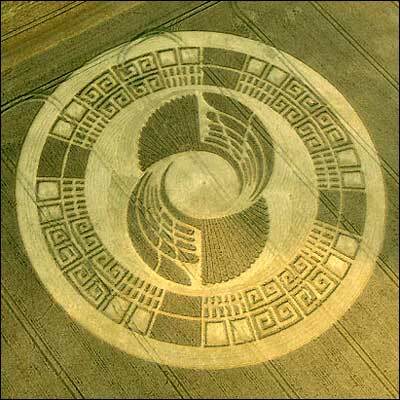 According to the "calendar in stone" of the Great Pyramid, which describes the so-called "Phoenix Cycle" of our galactic orbit, the present time period ends (converted to our present calendar) in the year 2012 AD. They also see that the world will not be destroyed. Between now and 2012 the world super powers will continue to engage in regional wars. Terrorism and covert war will be the main problem. In world politics something will happen in and around 2010. At that time the world powers will threaten to destroy each other.